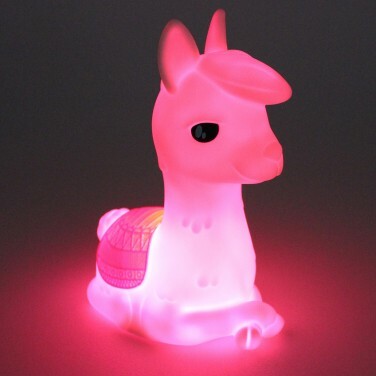 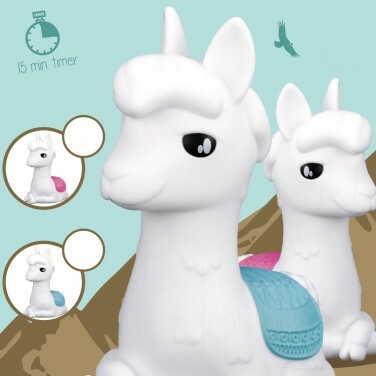 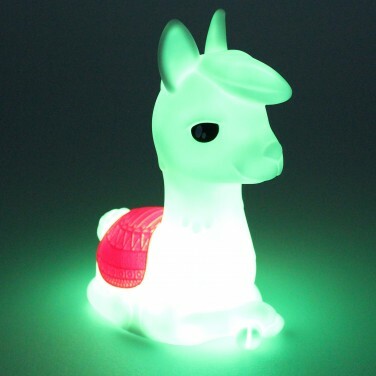 Pack kids off to bed with soothing colour change light from this sweet Alpaca night light for extra reassurance at night. 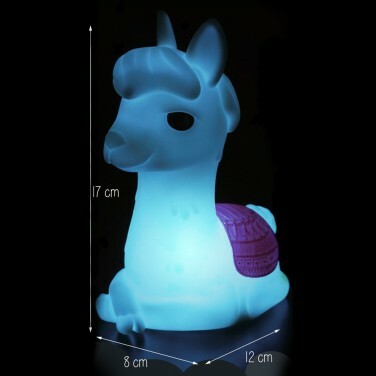 Sitting tall with it's legs crossed this cute night light is a must for adventurous animal lovers shining with a relaxing colour change light show that comforts at night. Battery operated, this cute character remains cool to the touch and the 15 minute sleep timer allows the light to shine just long enough for little ones to drop off to sleep.